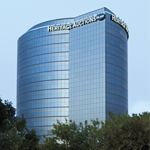 Consign your material to be auctioned alongside these items on Sunday, June 23, 2019 in Dallas, TX. Consignment Deadline for this auction is Monday, June 10, 2019. Journey Into Mystery #89 (Marvel, 1963) CGC FN/VF 7.0 Off-white pages. Thor's origin is retold as he battles gangsters in one story and aliens in another. Classic Jack Kirby cover. Kirby and Steve Ditko art. Overstreet 2018 FN 6.0 value = $246; VF 8.0 value = $656. CGC census 3/19: 37 in 7.0, 104 higher.